Dentists Say You Need to Floss. Science Agrees. An article in Forbes tries to argue that there’s scientific literature supporting the idea that you don’t need to floss. The author is not without his bias, as he clearly has had some traumatic experiences at the dentist. I constantly get feedback that our hygienists are among the gentlest, while giving your teeth a great cleaning. The author tries to go through different science articles that look to examine the benefits of flossing. This is a great study to show you just how important flossing is. Even the author admits that flossing results in a 40% reduction in cavities in primary teeth. That’s huge! The problem is that children flossing for themselves (instead of by a professional) did not see those benefits. The message here is not that flossing provides no benefit, but that we need to better educate children (and their parents) on their flossing technique. The second study is a Cochrane review, a type of review which only looks at a very specific subset of evidence. Moreover, they only looked at the benefits on plaque and gingivitis, which are important parameters, but didn’t look to see if there was an improvement on cavities. Even though the authors did find that flossing provided a benefit, they ultimately concluded against recommending it. Among the types of studies that a Cochrane review will not look at are twin studies. These are studies where they compare genetically identical studies of twins and compare those who floss to those who don’t. One such study showed that flossing significantly decreased the bacteria that cause periodontal disease and dental caries, but was not carried on long enough to show the benefits on long term periodontal health. The toothbrushing only group achieved a 35% reduction in bleeding sites and the three flossing groups all demonstrated reductions of about 67%. Bleeding is a marker of inflammation and a sign of gingivitis. Once again, the study shows that brushing alone is not as effective as brushing and flossing in preventing gingivitis. Finally, even the author agrees that one of the biggest problems with getting the benefits from flossing is technique. 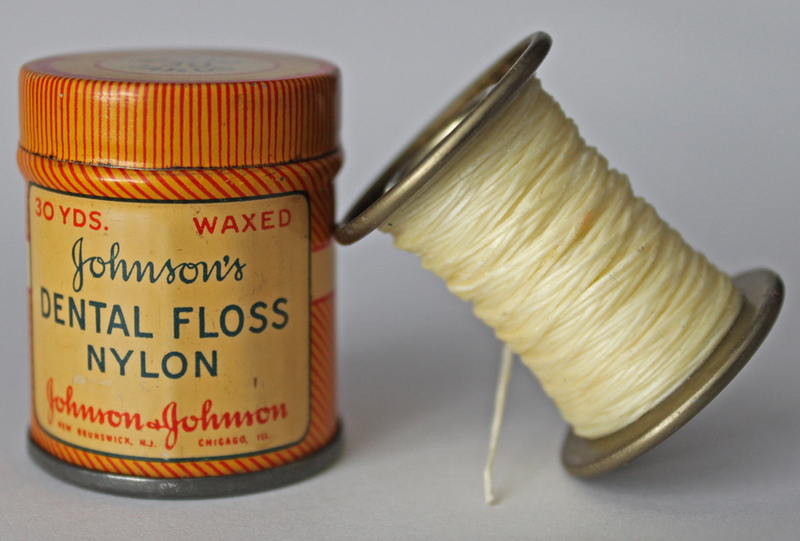 One plausible explanation for the dearth of supporting evidence for flossing is that we’re all doing it incorrectly. Most flossers simply insert the string in between their teeth, yank out a few bits of food, and assume they’re done. They’re not. The American Dental Association recommends curving the floss into a “C” shape against the side of every tooth and firmly, but carefully, motioning it up and down. And that’s something I can agree with. It’s good idea to demonstrate your flossing technique when you visit the dentist. … 1,433 people with meningioma were found to be two times more likely to have had a “bitewing” dental X-ray as those without the illness. Those who reported having a panorex scanning dental X-ray (which gives a two-dimensional panoramic view of the mouth) before age 10 were 4.9 times more likely to have meningioma. In other words, the author uses the study to support the woman’s suggestion that she got three meningiomas from dental x-rays. It’s strange because in the next paragraph, there’s a statistic that women get meningiomas twice as often as men. Does being a woman cause meningioma too? Yikes! I read the Cancer study which clearly stated that dental x-rays delivered a higher dose of radiation in the past than we do today, and that sometimes the benefits of an x-ray outweigh the risks. It’s also difficult to study this type of phenomenon. First off, the study depended on people’s memory to find out how many dental x-rays they had received over their lifetime. As we all know, sometimes our memories are not the most reliable, especially when it means having to think of events that happened years ago. A better approach would have been to do a chart review and look for documentation of x-rays in each group. That's why we keep charts --- they're more reliable than memories. Unfortunately, this study's design really does open a lot more questions than it answers. At best, it tells us that people who developed meningiomas thought they had more x-rays in the past. The second half of the article talks about dental CTs. These machines do deliver a higher dose of radiation than a normal x-ray machine. These should be reserved for special cases where the better images are necessary to ensure optimal treatment planning and minimal complications to the patient. It’s also important to remember just how much radiation we’re talking about here. Four bitewing X-rays, which is what many people get in a routine exam, give about .02 millisieverts of radiation, according to the American College of Radiology. That’s about the amount of radiation you get in a week from the sun and other sources. A panoramic dental X-ray, which goes around your head, has about twice that amount of radiation. This gives a complete picture of your mouth that’s usually good for diagnostic purposes for up to 2 years. Now I’m not advocating for lots of x-rays. Dentists practice a radiation safety principle called ALARA (as low as reasonably achievable) --- to keep the amount of patient radiation exposure at as low a level as reasonably achievable. Routine bitewings and the occasional panoramic x-rays help dentists check bone levels and wisdom teeth, look for fractures or diseased tissues, and catch cavities early before they become painful, and before a root canal is needed. A root canal means a lot of pain, a dead tooth, an expensive dentist’s bill and — that’s right — even more x-rays. And yes, sometimes an x-ray can even catch cancer. In the end, each situation is unique, and it’s important to have a trusting relationship with your dentist to make sure you understand the best treatment options for you.